I know South by Southwest (SXSW) was last week, but I am still reminiscing and wishing I could live through it all over again. I had so much fun even though I was only there for a couple of days. South by Southwest is an interactive festival that takes place in Austin, Texas in the spring usually during the second week of March. The festival not only includes a ton of live music, but a film portion as well. The film festival focuses on independent films and many are premiered during the festival. Festival goers can enjoy good eats, good music and good drinks, plus the chance of spotting a celebrity! Austin is a great city and SXSW is a great place to meet people from all over the U.S. Austin claims to be the live music capital of the world and I would say that’s not a far off statement. 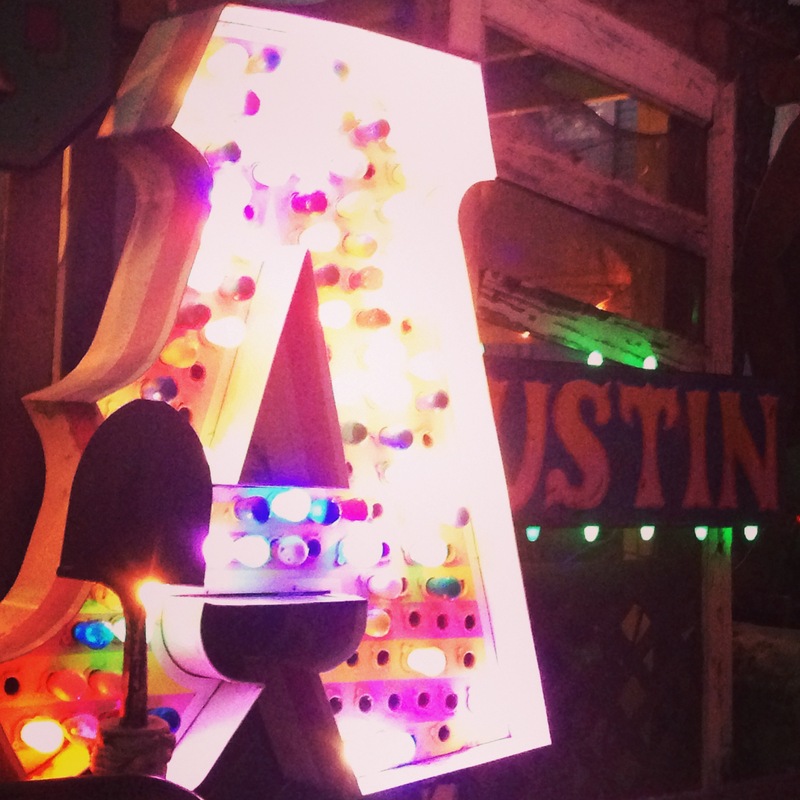 Austin also hosts Austin City Limits (ACL), a huge three-day music festival. Plus, they have live music at plenty of venues almost every day of the week. Beach Fossils. This is the first time I have seen this band live, but I have always loved their music. They are a band from Brooklyn, NY. I got to see them for free and even got to meet them! Jacuzzi Boys. I have seen this band play a couple of times, but never was the crowd as crazy as it was this past SXSW. I am not a fan of mosh pits, so I steer clear of them. But those participating in the mosh pit seemed to be having a blast! Spotify house. Spotify hosted a party with free drinks and free live music. I hope they will host another one next year! If you don’t have Spotify yet, download it! It is similar to Pandora, but better. You can listen to full length albums on your computer for free! Jackalope’s pizza. The Jackalope is a bar and grill. They serve a lot of local beer and the pizza is the best! Plus, you can take a picture on a giant statue of a Jackalope! Justin Timberlake. Everyone wanted to go, no one could get in. I bet it was awesome though! Rami Malek. Alright, alright I didn’t notice him, my friend did, and he is not exactly a big celebrity like Justin Timberlake, but he is a celebrity. Rami Malek is an actor from The Master and Twilight: Breaking Dawn Part II. In the past I have seen Kristen Stewart and Dakota Fanning during the premiere for The Runaways. Take the bus. A day pass is only two dollars and since finding parking is crazy, this is the best way to go! Drink lots of water, especially if you plan on drinking alcohol. Plus, Texas is hot even in the spring. Get everywhere early. Free music abounds at the festival, but so do long lines. Use the bathroom whenever you can! Don’t look for celebrities. It’s a waste of time. Plus, isn’t part of the fun being surprised when you run into a celebrity unexpectedly? There are so many festivals all around the U.S. and I have yet to go to one outside of Texas. What are some of your favorite festivals?